This series is on my TBR pile for a while. I haven’t bought the books yet, but they are on my list. Yes, I not only have a Kindle TBR pile, I also have a physical TBR book pile and a written TBR list in my blog note book… Too many books not much enough time! 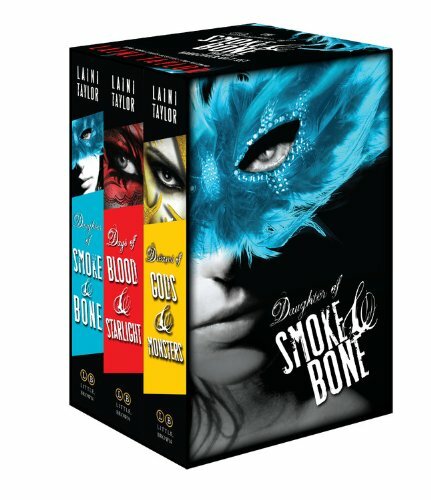 Anyways, the Daughter of Smoke and Bone trilogy is waiting on my list for a long time, I have read and heard great things about it and the covers are quite amazing to look at as well. I am hoping I will be able to lend the ebook from the library soon. But first you will find below the gorgeous covers, the blurbs and book trailers.